Here is a little tutorial of how to do setup a Yootheme WordPress theme on a cPanel Hosting account. Once that is setup, click the home button on the upper left of the screen. 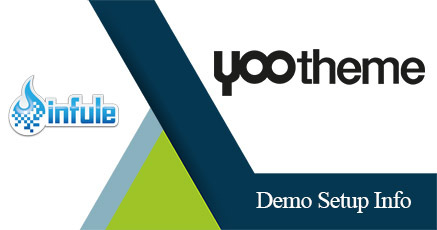 Directions on how to setup a yootheme demo package worpress site. navigate to the domain name folder that you want to upload the demo package to. (For example, if you just added the domain name (yourdomainname.com), you will be looking for the folder “yourdomainname.com” inside the public_html folder. Open the folder of the domain name that you want to upload the zip file. Navigate to where you downloaded the zip file and click on it and upload it. Once you see the complete text on the lower right of your screen, go back to the file manager page and click the refresh button. Click on the zip file you just uploaded and click the extract button on the upper right of the window. Now scroll down to the section ‘ MySQL Users”, if you haven’t created a user yet, you will need to by filling out the “Add New User” form and clicking Create User. If you already created a user name for a previous database install, then you don’t need to create another one. If you already have a database user setup then we need to add that user to the database you just created. On the MySQL screen, scroll down to “Add User to Database”, select the user that you would like for your database, then select the database name that you just created above and click “Add”. Since this is the admin account for the database, click the checkbox next to “All Privileges” then click the make changes button. Don’t close this screen, keep it open because we’ll going to take this info and copy it to your wordpress install that we’re setting up. Click on the “Let’s Go!” button. Replace the Database Name with the one on the previous database screen that we just came from. So you’ll be typing in the database and user name without the ” in them. Fill in the password associated with the user name of the database that you setup. Tip: For security reasons, you must change the Table Prefix to something other than: wp_ Change it into something short and simple combining numbers and letters (example: it can be something completely random like: u73VgA_ Keep it under 6 characters long and make sure it still has the underscore). We set it up like this so that your website doesn’t get hacked. Most all wordpress websites have their database prefix as wp_ and it makes it a lot easier to hack compared to something completely random like we’ve just setup. Click The button below and if you did everything correctly you will come to a screen that says “All Right Sparky!…..
Make sure that the ” Allow my site to appear in search engines like Google and Technorati.” checkbox is checked. Unless you don’t want it to show up in search engines. Click the “Install WordPress” button. Upon success, you will see the “Success!” window. now you can login to your wordpress website. **If you click the Login Button and it goes to a screen saying that your database needs to be updated, it’s ok, just click the update database and everything should go smoothly from there. Hopefull this will help you setup your wordpress websites down the road. If you have any questions, please feel free to let know by commenting below.